Roth IRA contributions allow your child to save after-tax dollars for retirement. 1. Can I Contribute to Someone Else's IRA? 2. Can a Parent Contribute to a Child's IRA? Every parent wants their child to be financially secure, even after the child has grown up and left home. Especially in their early working years, your children may benefit from putting money in a Roth IRA because they are in a low tax bracket but might not have the extra funds. 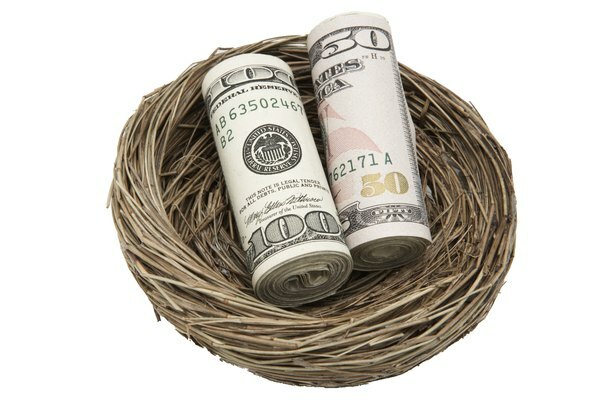 Qualifying to contribute for a Roth IRA requires having earned some income during the year. As long as your adult child meets this requirement, you can gift him cash so that he can use the money for his Roth IRA, but there are contribution limits to keep in mind. You can gift your adult child cash so that he can contribute the money to his Roth IRA. However, your child needs to have made some income for the year of contribution. To be eligible to contribute to a Roth IRA, your adult child has to have compensation for the year. Compensation doesn't include gifts from you – only things like wages, salaries, self-employment income and alimony. If your adult child is married and files a joint return, he can also rely on compensation earned by his spouse. However, if he and his spouse file separate returns, this exception doesn't apply. As long as your adult child has enough compensation, the IRS doesn't care whether she uses your gifted dollars or her compensation to contribute to her Roth IRA for the year. Suppose she has a part-time job that pays her $15,000 for the year and she spends all $15,000 on her basic needs. If you give her $5,000 more, she can put that money in her Roth IRA even though that $5,000 wasn't compensation. The maximum Roth IRA contribution equals the smaller of the annual limit or the adult child's compensation. For 2019, your adult child can't contribute more than $6,000 for the year. In 2019, the limit goes up to $7,000 if the individual is over the age of 50. Suppose your child has $6,000 in compensation. Even if you give him $7,000, he can't put more than $6,000 in his Roth IRA for the year. On the other hand, if he only earned $3,000 during the year, then he can only put $3,000 – not the full $6,000 – in his Roth IRA since the smaller of the annual limit or contribution limit is used. Money that you give your adult child for her Roth IRA counts as a gift. The annual exclusion allows you to give your child $15,000 in 2019 without incurring any gift tax. Since the annual contribution limit for Roth IRAs is significantly lower than the gift tax annual exclusion, you won't owe any gift tax if that's the only gift you make to your adult child for the year. But, if you're giving her other gifts as well, the gift for the Roth IRA contribution might add to your gift tax bill.